It is usually Spring in my part of the world but it is taking a while to warm up. We are having an unusually dry April at the moment. 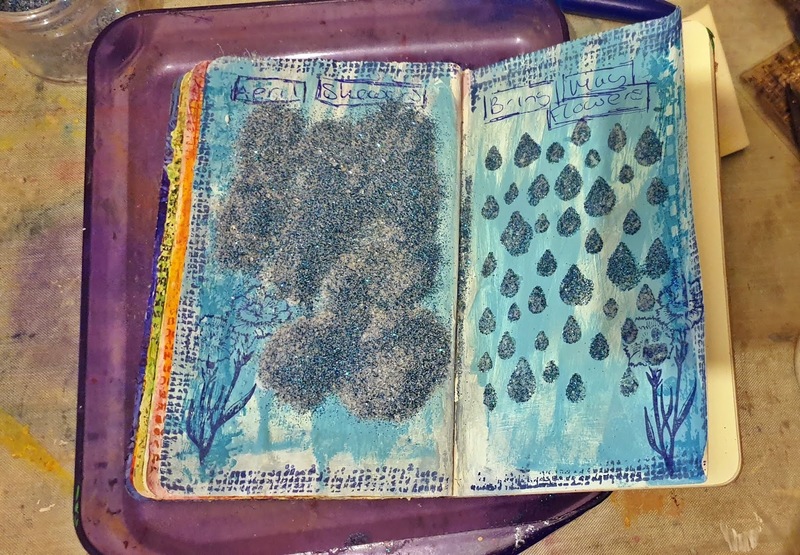 Anyway, here is my art journal entry for this month's theme. 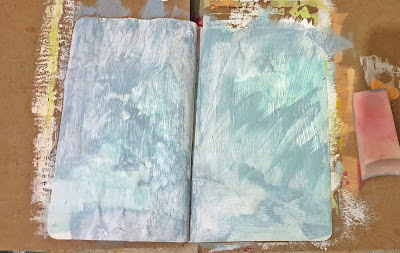 Paint with gesso first and when it is nearly dry, paint on a light blue acrylic paint with a make up sponge. Next layer up a few darker blue colours, just paint them on lightly so each colour isn't fully covered. 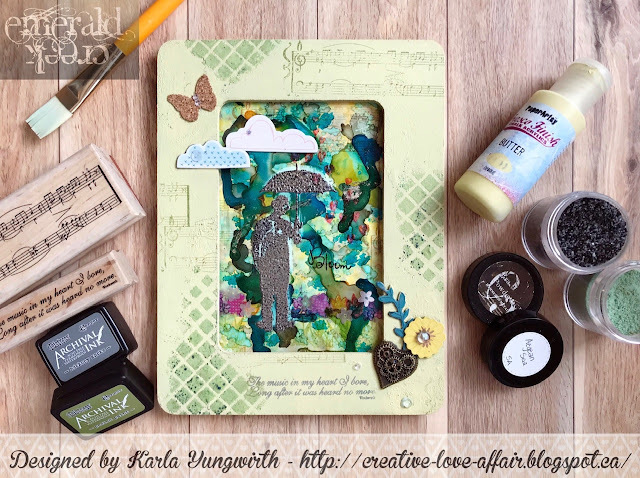 Stamp around the edges with a texture stamp and then use a stencil to apply a modeling paste through a stencil. 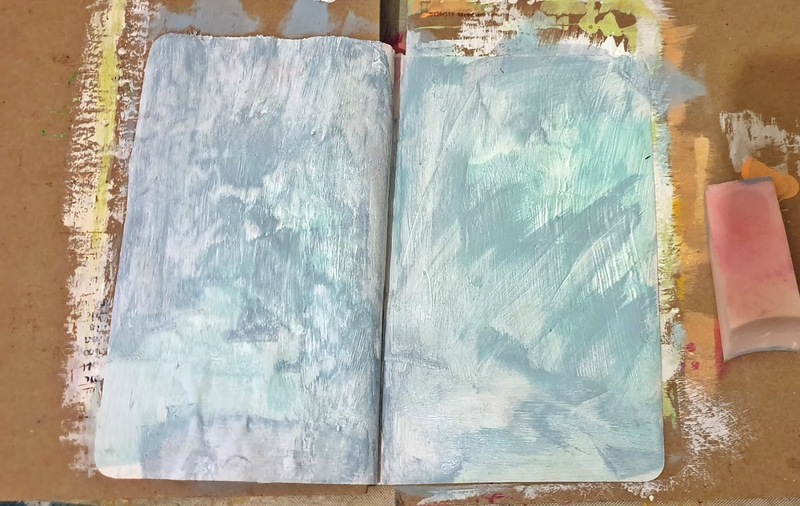 Sprinkle on the Mermaid Fin Embossing Powder and then heat to set. Stamp on the Carnation stamp in the corners of the pages and then stamp some out onto card. Colour the flowers with watercolour paints and then cut them out so that they can be glued onto the page. 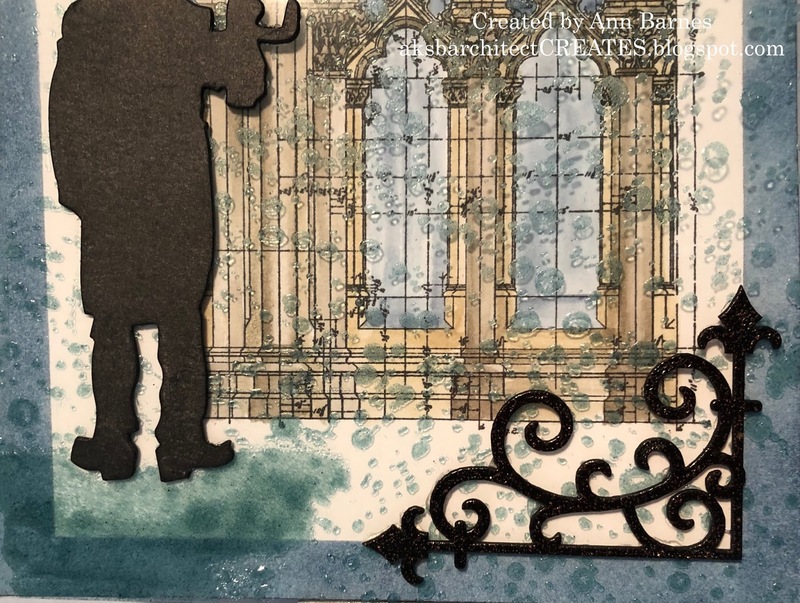 I embossed my frogs with Fractured Ice because I wanted something with a hint of color, yet see-through, so the details could be seen. 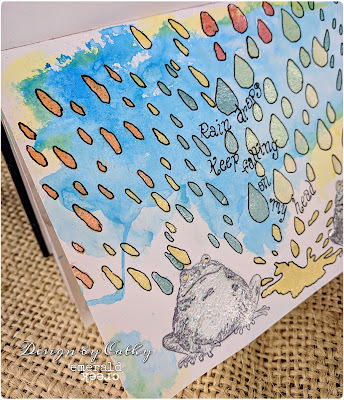 And my raindrops are a rainbow of goodness thanks to Seth Apter's new embossing powders! After embossing. I added my watercolors and then drew around the drops with a paint pen. I then added my lyric! It's a fun little journal page that's quite colorful for the Spring season! 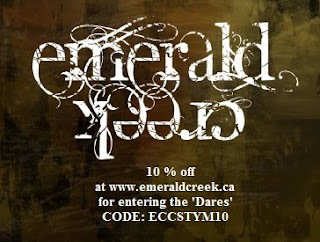 Thanks for stopping by the blog here at Emerald Creek - I hope you'll play along with us and do some shopping - we DARE you! 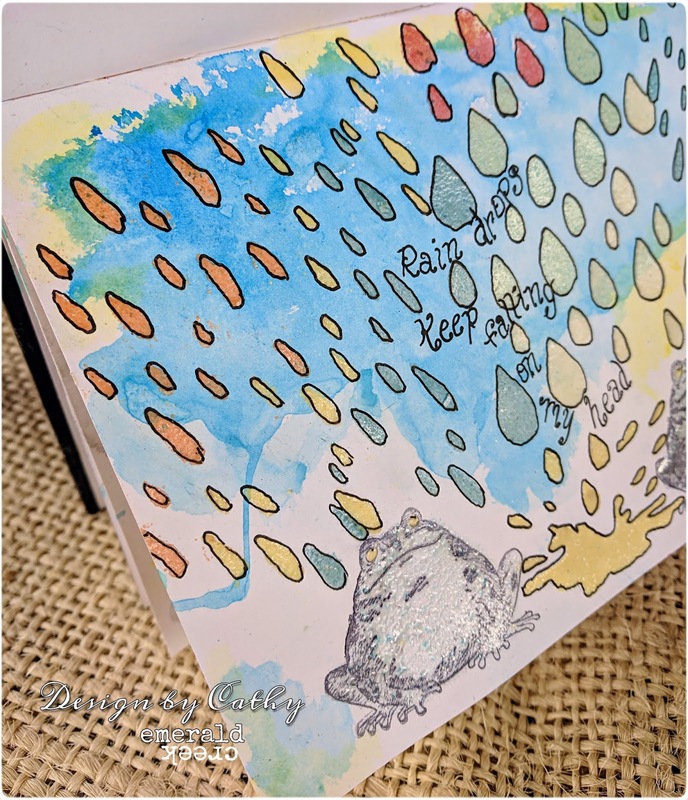 Hi everyone, today I am sharing "rainy day blues." 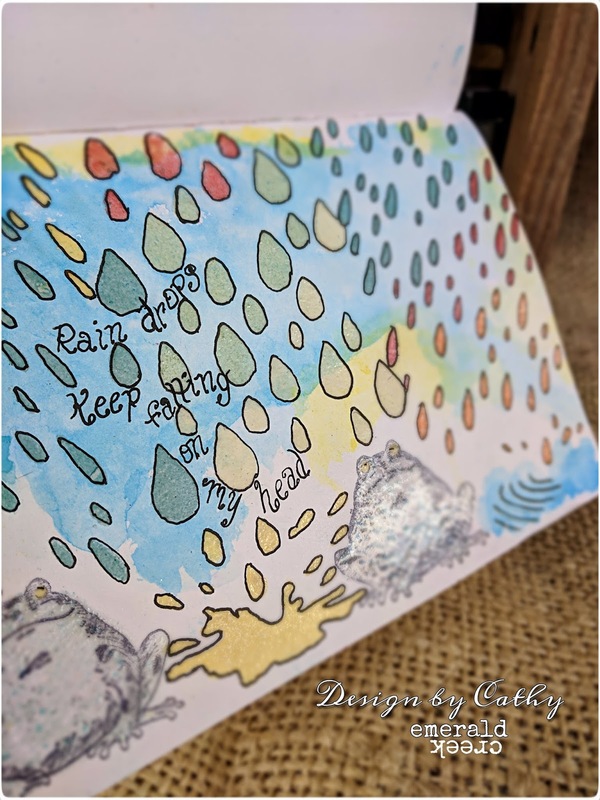 This month's theme for the Emerald Creek Dares challenge is Singing In The Rain. 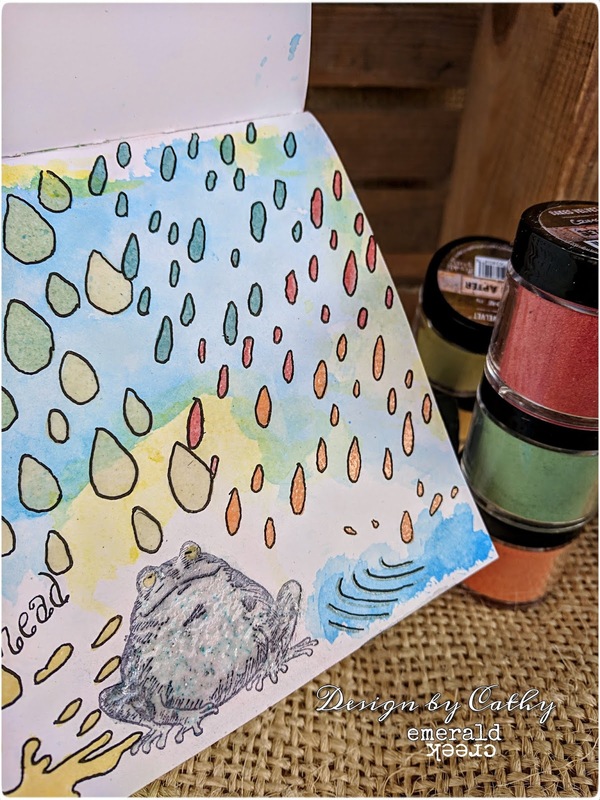 Anything you want to create that has to do with music, rain showers, or water would be perfect for the challenge. 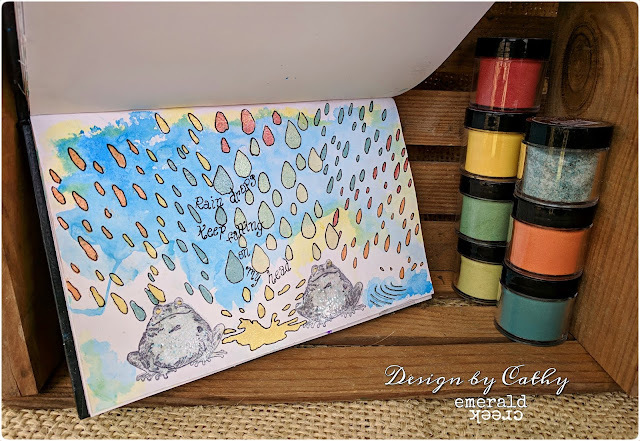 I love a good rainy day, the gray skies and raindrop sounds can be quite soothing. 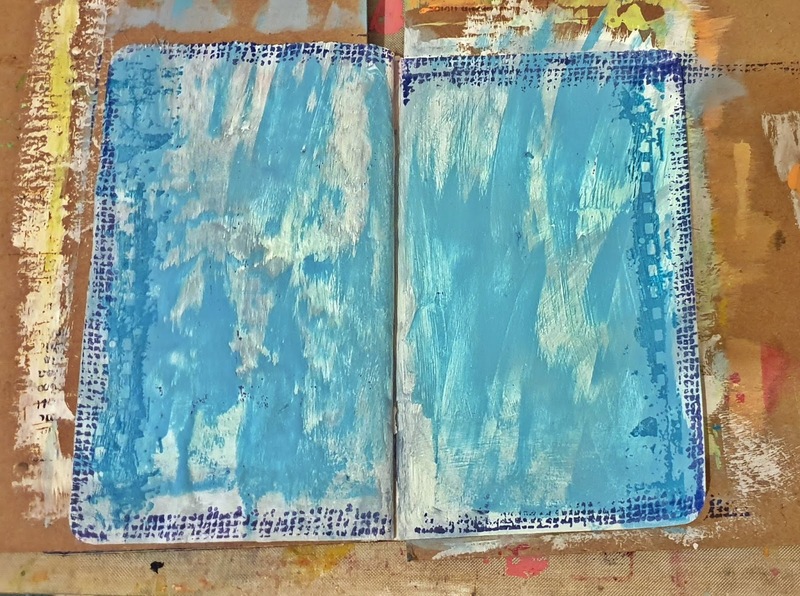 For this piece, I wanted to play on those feelings and really work with different blue colors, and of course, water. 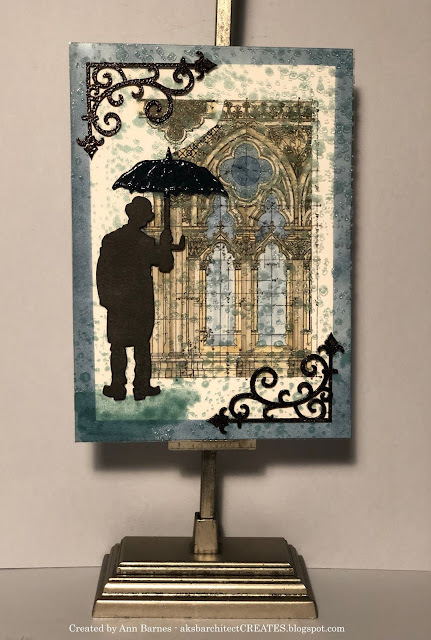 I begin with an umbrella man die cut. 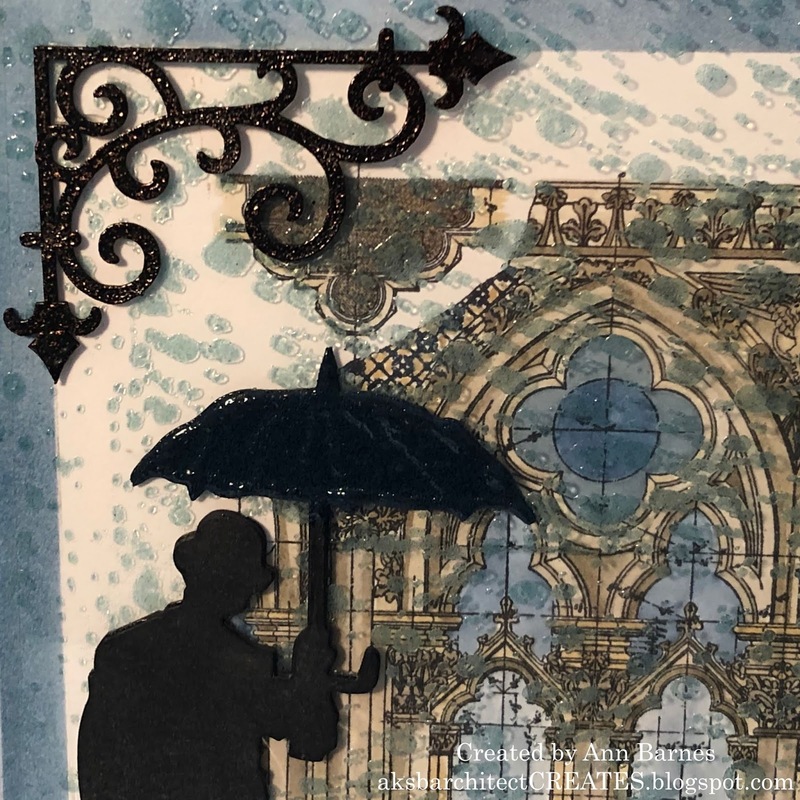 The umbrella portion is coated with embossing ink and Seth Apter's Baked Velvet Eclipse embossing powder by Emerald Creek. 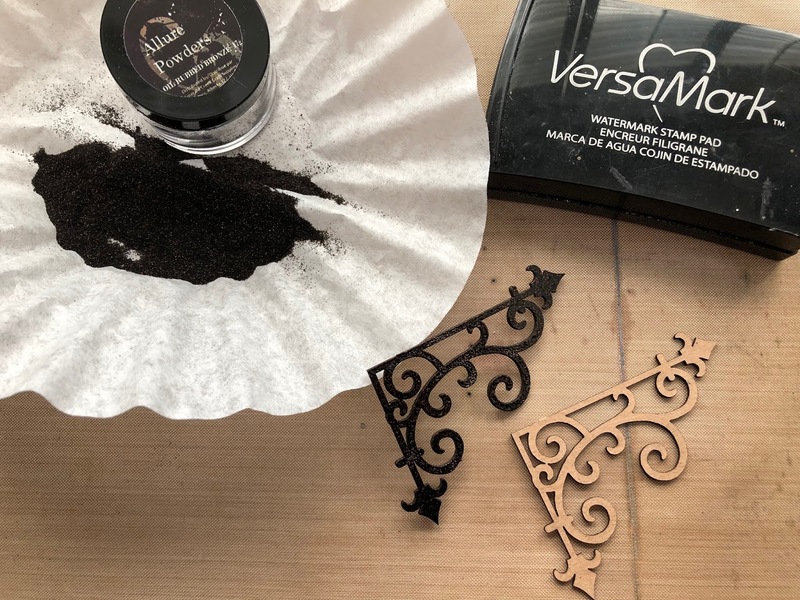 When heated, this powder creates a fairly matte finish, that is such a gorgeous shade of black. I want the man to appear dry under the cover of his umbrella, so he is left un-embossed. 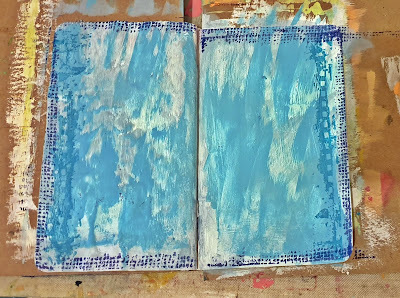 When the umbrella has cooled, I draw lines with a glue pen where the water would run down the spines of the opened top, these are covered with Seth Apter's Deep Sea Baked Texture. 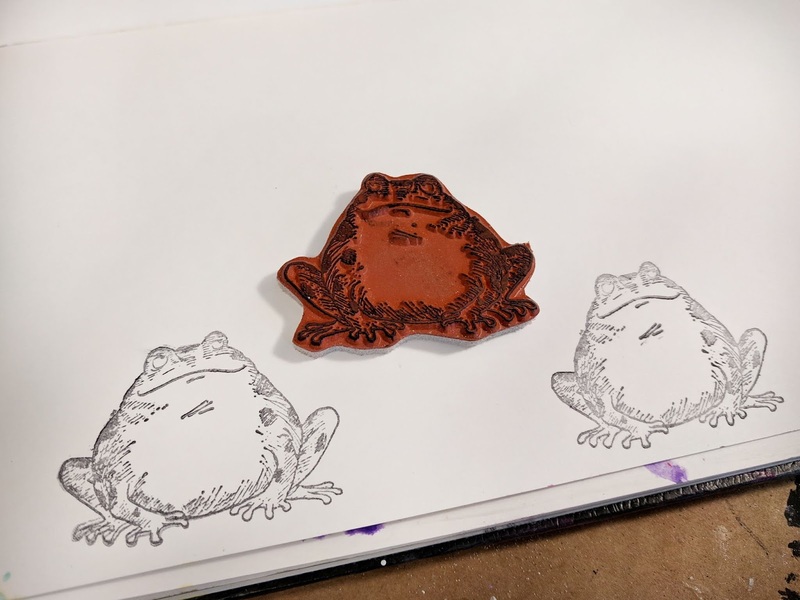 When the glue has dried securing the embossing powder, I heat set it to a shining watery finish. 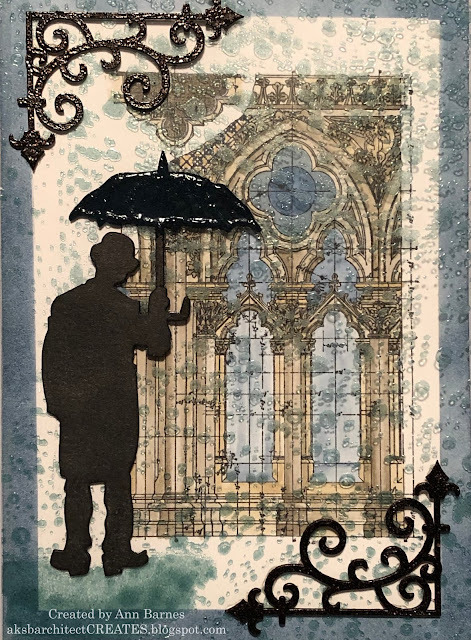 The umbrella man is complete and is set aside so I can work on his setting. Next I want to create the scene. To do this I use an architectural stamp. I stamp the image with archival ink and then I color it in with distress inks using a water brush. 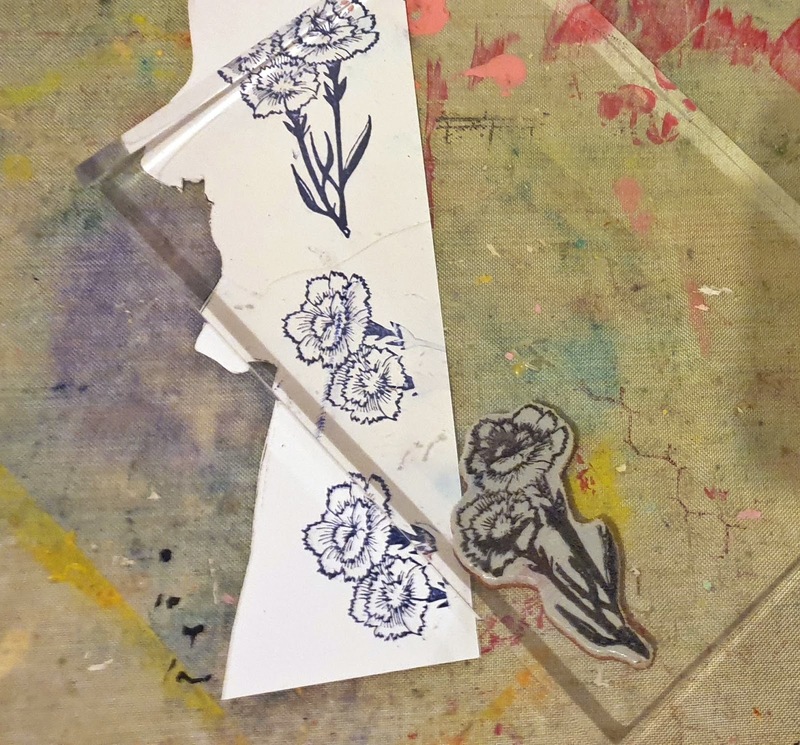 Once the colored image is dry, I cut a piece of clear acetate to cover the image and its surround. 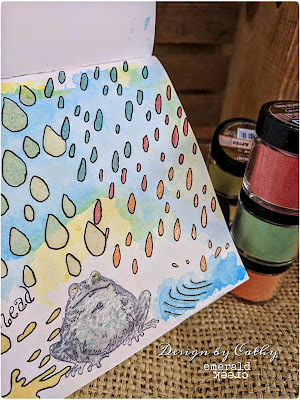 I ink a waterdrops background stamp using VersaMark Ink. 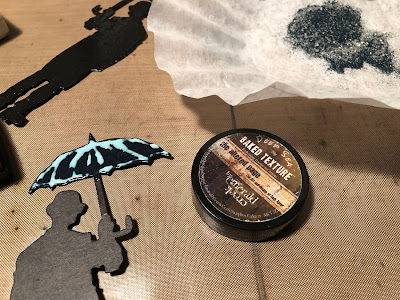 I stamp all areas of the clear acetate then sprinkle Agean Sea Baked Velvet (a beautiful translucent powder) over the page. 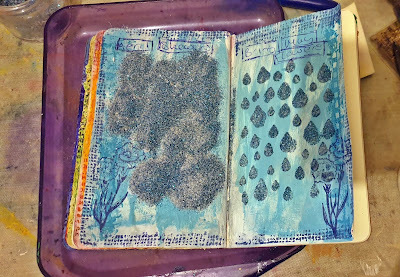 I carefully heat set the powder to create the look of raindrops all over the page. 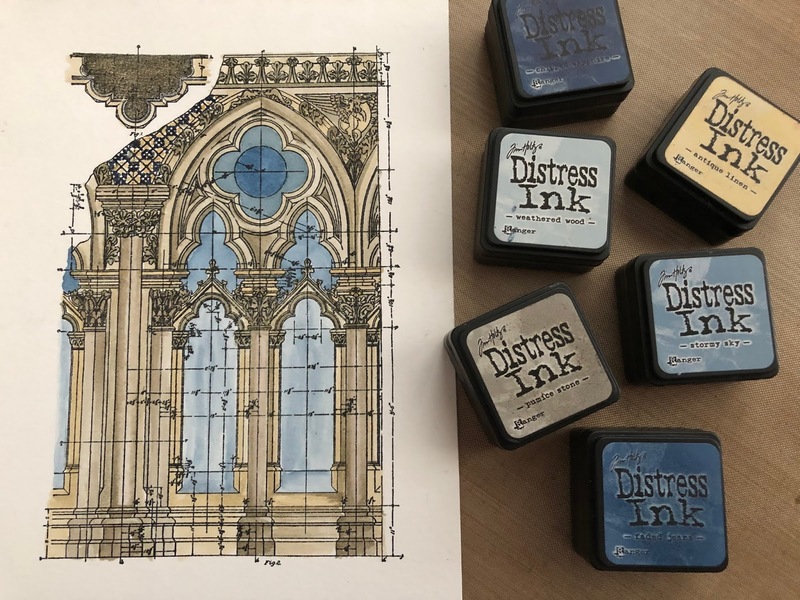 This sheet will overlay the solid architectural image. The umbrella man is attached to the water droplet sheet using collage medium. 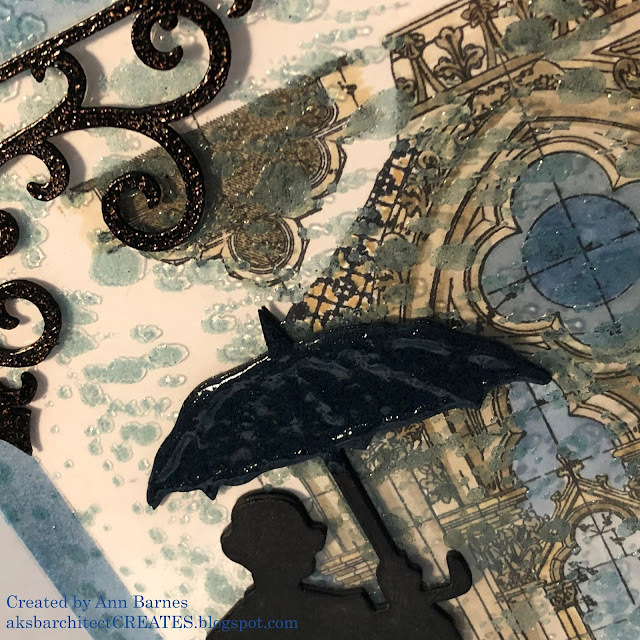 Beneath his feet, I use a VersaMark embossing pen to create the look of a puddle (a result of the umbrella shedding its water) and sprinkle more Aegean Sea powder, then heat set. At the top left and bottom right corners, I want to add something to ground the composition. To do this, I emboss two decorative chipboard pieces with Oil Rubbed Bronze Allure embossing powder. These add to the architectural feel of the design as well as create a framework to the piece. When the embossing has cooled, the decorative corners are adhered to the acetate sheet with Distress collage medium. A thin piece of Sookwang adhesive along the left edge of the acetate secures it to the stamped page beneath. The entire composition is secured to a card base. and the Aegean Sea puddle beneath his feet. I hope that you are inspired to participate in the #ECAPRIL2019 challenge - we would love to see your interpretation of the theme Singing In The Rain. Join us if you dare. on your posts as well so we can reference them, and if you add and tag various Emerald Creek product you will get a bonus entry. At the end of the month we will send a prize to the Winner as well as link up their project and share it out.